Halloween is quickly approaching. There is something super special about that time of year where the weather cools down and you get to dress up and give out candy. My favorite part about October are the haunted houses and scare events. The best one in my opinion is SCREAM-A-GEDDON. I have been every single year and they keep improving it. SAG is also one of the few places that you can find interactive experiences! 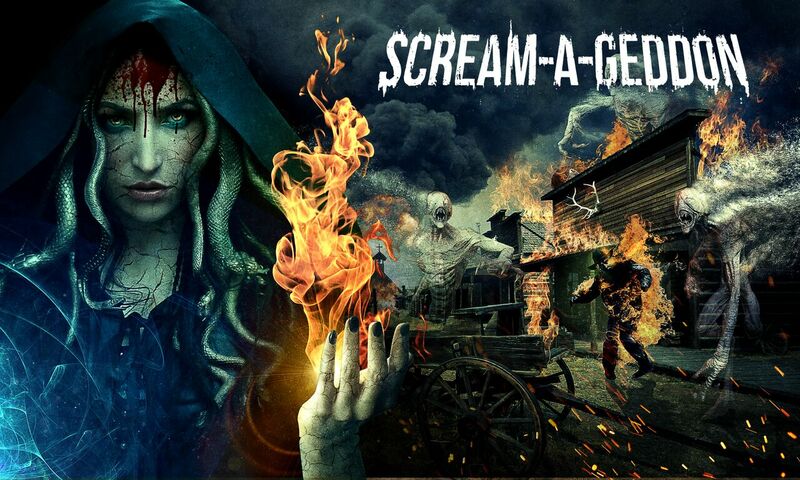 This year SAG has three new attractions: Rage 3D, Demon's Revenge and Zombie Paintball Assault. Returning attractions are Blackpool Prison, Dead Woods and Infected Ground Zero. I am THRILLED that Dead Woods and Blackpool Prison are back since they are my favorite. Dead Woods is the scariest maze I have been in. 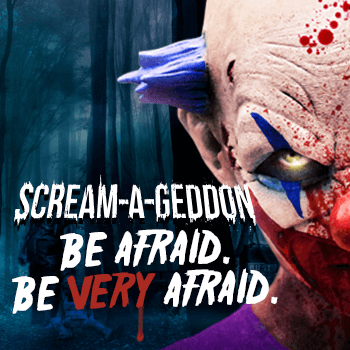 You travel into super dark woods in small groups, through cabins and into the unknown. It has made me run and scream a few times. I am not a runner...or a screamer really. Blackpool is interactive. Blackpool Prison is an interactive attraction. Should you explore the prison and just watch the action? Or should you “mark” yourself to truly interact with the creatures within? I recommend wearing the glow necklace that marks you to interact. It changes the experience and is SO much fun. If you are worried about being separated from your group, it won't be for long. It will probably also happen in this house regardless of if you mark yourself. That is one of the cool things about the constantly changing maze that is Blackpool Prison. One lucky Thrifty and Frugal Living Reader will win FOUR tickets to SCREAM-A-GEDDON! Love this contest I will share it too! 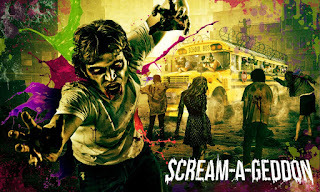 I can't wait for zombie paintball assault. Fun!! 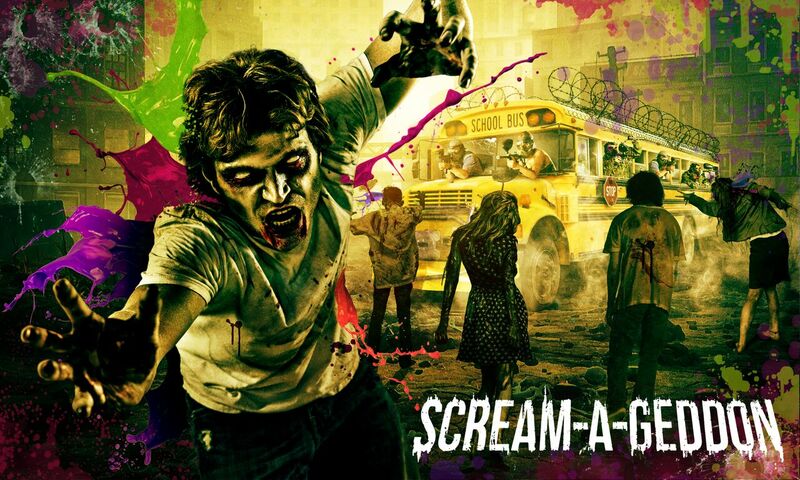 looks like a spooky good time, zombie paintball sounds awesome!! I've never been and would love to go. I don't scare easily and hope to be frightened if I get to go. I can't wait to see Blackpool prison. Sounds awesome!